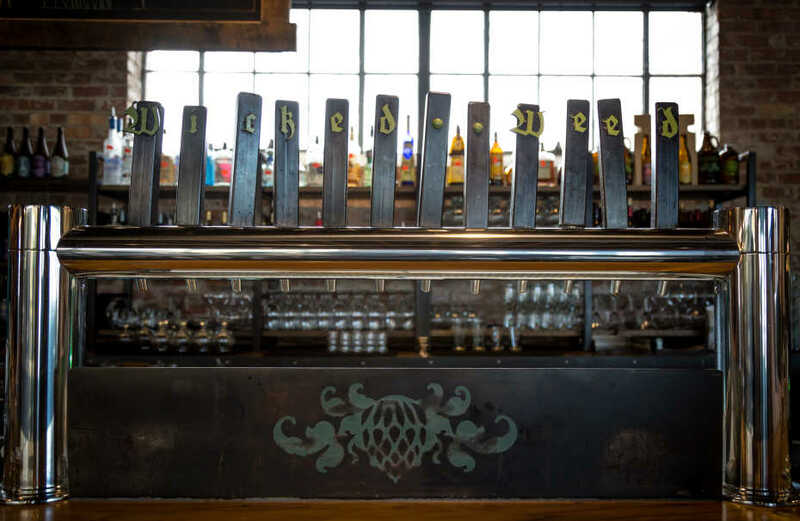 How did Wicked Weed rise to fame? Curious beer enthusiasts traded the bottles all over the world and posted their favorites online. Co-owners and brothers Luke and Walt Dickinson say those traveling bottles are the best compliment a brewer can receive. The brothers now are reaching more fans with wider distribution, but their beers still begin in Asheville. "I think a big piece of why craft beer flourishes here is because we&apos;re the right community," Walt says. "We want to experience life and get out and play in the mountains-kayak or bike or climb. We have a drive for life experience. 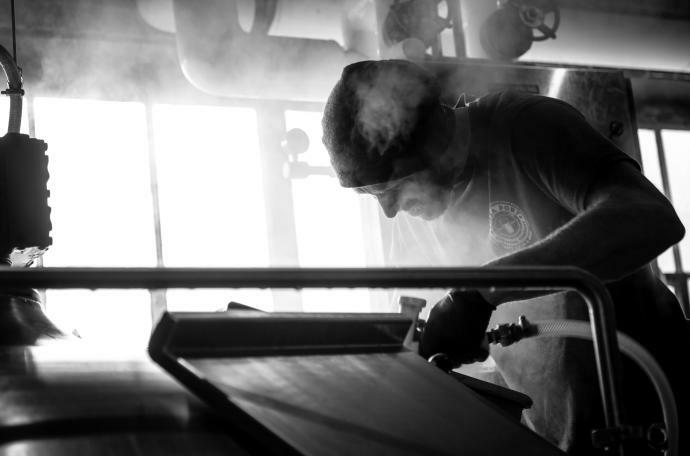 That&apos;s why good food and good beer are really exploding." Luke says Asheville&apos;s verve is inspiring-and productive. 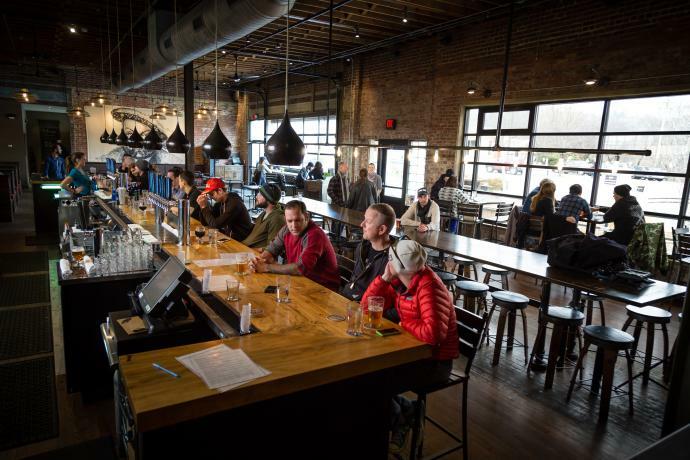 "Within four blocks of our brewpub, you can taste over 100 different beers," he says. "The variety and the quality of beer in Asheville is really what separates it from other destinations." Wicked Weed certainly contributes to that variety. 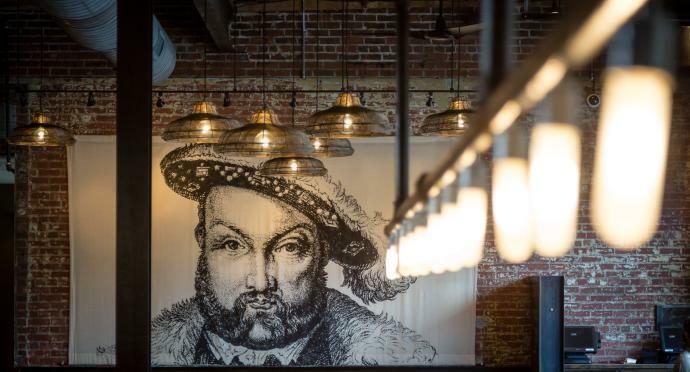 Its flagship brewpub offers 30 proprietary draft beers, and the taps rotate constantly, highlighting a variety of Belgian-style ales and West Coast-style, hop-forward beers. A few blocks away, their Funkatorium tasting room showcases barrel-aged sour beers. The variety of styles might sound complicated, but tasting beer is the best way to learn, Walt explains. "There&apos;s a big scope of what we do, but at the end of the day, we want to make beers that are memorable for people and change the way they think about craft beer," he says.